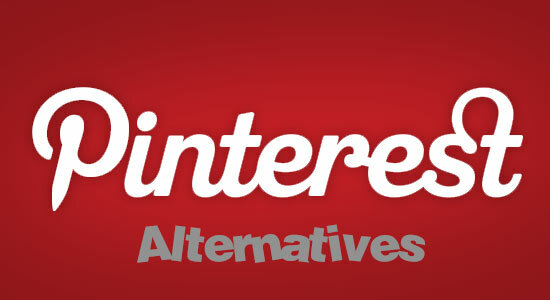 Pinterest is a website and image bookmaking website that is also a social media network. It allows people to bookmark pages, elements, pictures, etc, and then post them onto boards. People are then able to create boards with themes, comment on other boards, post, repost and otherwise share what they have placed on their boards. They are also able to search through the boards of other people to find images and pages that interest them. There are few other websites that are like this, but here are three that are similar. The list is in no particular order, but if you read through their descriptions you will see how they are all similar to Pinterest in some way. This is a site that is similar to Pinterest. It is a social bookmarking and image bookmaking website. The only thing that seems strange about this website is that it is another of those “invite only” websites. Some of these types of websites have gone on to look very good, but have never really come close to achieving what the bigger social media networks have achieved. So, it is curious as to why they chose this type of system. It allows you to post images, share them, re-share the comments of others, and “like” the images that you find. The “like” button looks like a moustache, as it relates to the whole gentleman side of the equation that is implied within the website title. This is a website that is similar to Pinterest. It allows you to follow different members of the network and allows you to comment on the images that you find. It allows you to repost things that other people post and it is geared towards being more gender neutral. Through no fault of its own, Pinterest has become dominated by female profiles. It appears that this website has taken design steps to try to avoid that. You can search using the categories navigation or you can browse the profiles and posts that you see and find. They also have a search function for if you are looking for something specific. You can earn different badges for doing differing things, in the same way that you can with Squidoo. You can generate money with this social media website. If you refer people using their referral channels then they will give you a small payment in reward. There is also a merchant’s store that you can explore if you like. It allows you to buy a whole range of goods that you would normally buy online. This website is taking advantage of the fact that Pinterest has a very large female audience. It has gone a little over the top with the feminine theme. It has made things very pink, which is going to keep a lot of men off of the site, but is also going to dissuade quite a few women too (probably women over the age of 30). The pink does make it seem a little “young and girlie” to the point where it may even attract a lot of gay men. This website has not tried to create a dominant social media network, and this is shown by the fact that it has integrated Facebook, Twitter, and Tumblr into the system. You are able to share the images that you bookmark on those networks, and people are able to see who the most active users are. You can set up your profile so that every time you pin an image, it shows up on your other social media profiles. Instead of having boards and pins, you have boards and hearts (pins), and the user is not a pinner; he or she is a “hearter.” It uses the same idea as Pinterest by allowing the users to pin things onto boards, thereby creating boards with themes. Just like the others on this article (and Pinterest), you are able to search through different categories in order to find the posts and “hearts” that interest you. Or, you can run specific searches for topics that interest you.